All things considered, this is the best thing that could have happened to Lindholm. Now I want to know more about the Peter Berndtson houses there, starting (I guess) with the mysterious Balter residence. the late Lockridge clinic building. Lockridge at Polymath...nice idea, but the terrain would say otherwise. Dense woods and steep hills make up most of it. Not the setting for a 5000 SF flat site building. There is an open field, but to place a building in it would spoil a long view from Berndtson’s Blum house, which is key to its charm. Mmm. Thanks. I had, finally, to inform myself about the history of the park . . . I visited the place and thought it was great. We even stayed in one of Berndtson's houses. It was lovely summer night in the country with the family in a lovely house. Heaven, that . . . ? Lindholm was on a mostly flat terrain. I don't know how it is sited at Polymath (they wouldn't let me see it when I was there) but I'll but it is not the same. I've long advocated for all Wright buildings that are in danger to be sent to Polymath. It would certainly make a great place to have a Conference. Lindholm was not in danger, certainly not like Bachman and some others. Just needed to be moved so a shopping center could be built on it's valuable land. Councilors and city staff toured all three floors of the MCCU building on 14th Street during the work session Tuesday. City Administrator Aaron Reeves handed out floor plans and talked the group through the tentative plans to remodel the building and create a combined police station and City Hall. The renovations would not be too extensive, although the city would remove several offices on the north side of the building to create a new Council chambers and some walls would be moved to change spaces around. Some features, like the built-in vault that would become an armory for police guns and ammunition, will easily be repurposed. The resulting facility will be larger than what the city actually needs for current staff, leaving room to grow. Reeves noted that the sale price of the building is $1.8 million and the estimated costs to build the garage and renovate the interior to suit the city's purposes would be about $1.9 million for a total of $3.7 to $4 million. He compared that to a 2014 facility plan that puts the costs of renovating and rebuilding part of the current police and fire building at $6.4 million, plus an estimated $775,000 in work planned to rearrange office space at City Hall. MCCU President Tammy Heikkinen was there and said they are very excited about the idea. They had not ever listed the building, she said, because they wanted to find the right person or business to "do good for the community," she said. This would fit the bill. If the sale goes through, MCCU would lease the building from the city until construction was finished on a new building, to be built on land MCCU owns on Highway 33. 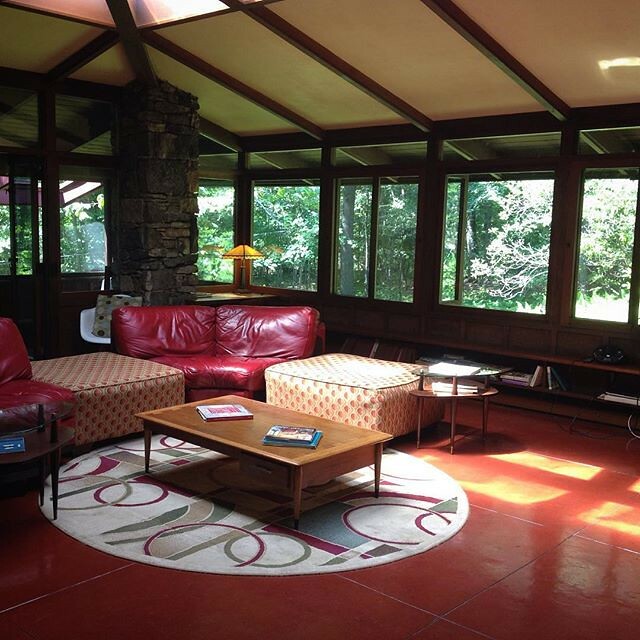 The credit union purchased the wooded lot that previously housed the Frank Lloyd Wright home, named Mäntylä — Finnish for "house among the pines" — commissioned by R.W. Lindholm and donated to an architectural park by his grandson Peter McKinney in 2016. The house was shipped, piece by piece, to the 130-acre architectural park in Pennsylvania, where it was to be reconstructed, preserved, open to the public and monitored by the Frank Lloyd Wright Building Conservancy. Heikkinen said the credit union has long wanted a Highway 33 location, but it's rare that land becomes available, so they're very excited.